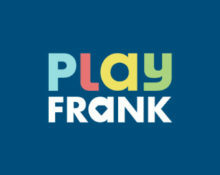 Play Frank – “Become Invisible” Challenge! Go invisible and wild with new rewards! And “Unleash the Wild within” in the Weekend Challenge! Did you successfully crack your eggs in the Play Frank Easter Challenge? There are still two days left to claim generous deposit bonuses and extra Free Spins and then it is time to “become invisible” to uncover some incredible Free Spin rewards in the newest challenge starting on 18th April 2017. But that is not all for this week, “unleash the wild within” this weekend to find some wild treats on Jungle Spirit: Call of the Wild. Start the your weekly gaming with the new challenge at Play Frank and earn some wonderful Free Spins. During the “Becoming Invisible” challenge, all players can get rewarded with up to 40 Free Spins on The Invisible Man. Stay with Play Frank on the weekend to earn wild Free Spins. During the “Unleash the Wild within” challenge, all players can get rewarded with up to 30 Free Spins on Jungle Spirit: Call of the Wild.